This month, designers are putting metal wine racks front and center (sensing a trend?) all across Instagram. Whether in the home or out to eat, the spaces we found were designed to show off collections and look good in the room. 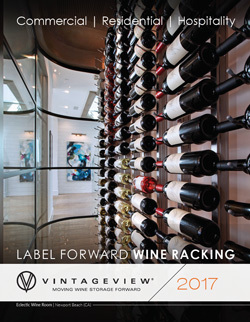 Get inspired by the type of wine displays and find your next #winewall. We prefer a #labelforward view when dining. 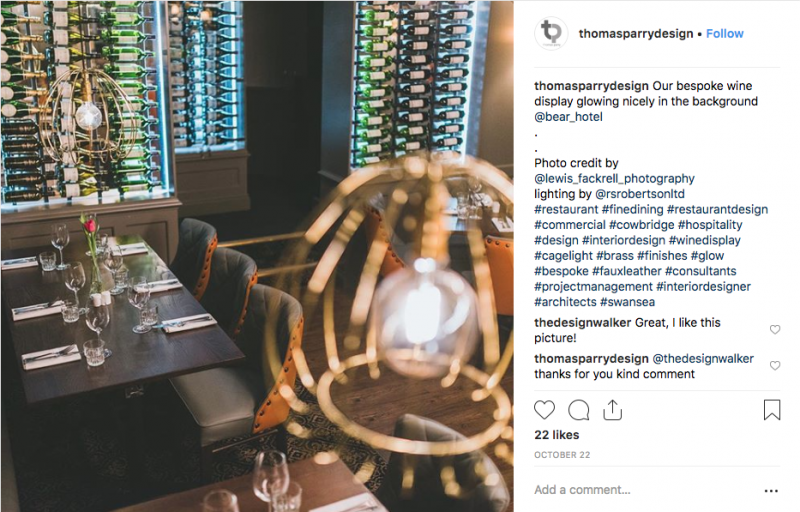 Thomas Parry design company outdid themselves with this bespoke wine display at The Bear Hotel in the UK. This glowing display uses Wall Series metal wine racks to tempt guests with the best wines to pair with Welsh beef lasagna or Lamb rump. 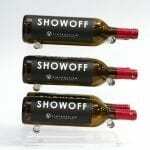 Wine display features Wall Series in single-bottle depth configuration in satin black finish. One Eleven at The Capital in Little Rock, Ark., understands the importance of putting the good stuff on display. The white wall and lighting makes this tony bar pop. Alongside Wine Motion’s sleek wine dispenser, Wall Series metal wine racks offer easy access to bottles on the wine list. We could sit in this contemporary space all afternoon. 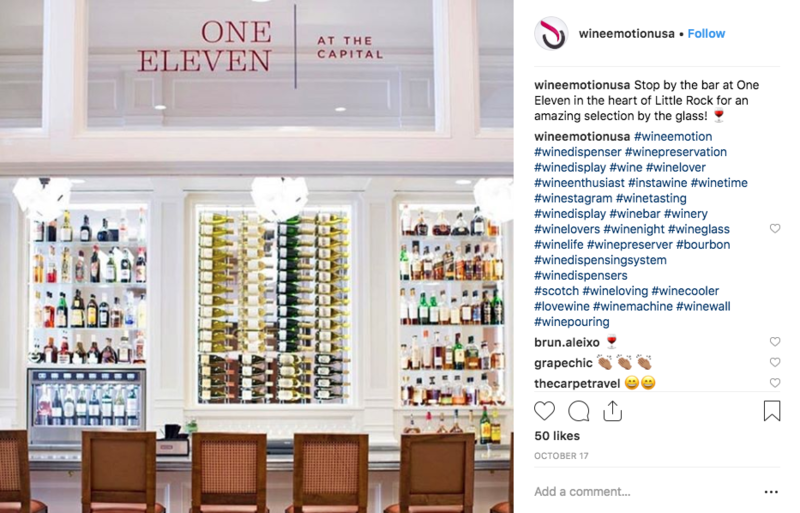 You would be surprised how many clients don’t actually drink that much (or in this case, any) wine when they request a custom, one-of-a-kind wine cellar. They just love the look. Using Floor-to-Ceiling Frames, Jas Interior Designs gave this basement wine cellar a stone backdrop and used LED lighting to highlight the space. The cellar may not be accessed frequently, but placed strategically next to the wet bar, this homeowner will be able to show off this wine display to all their friends. 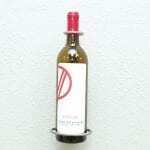 Wine wall features Wall Series in single-bottle depth configuration in brushed nickel finish. Paulina Oldenbrook Interior Design took reclaimed wood and metal wine racks to design our new favorite California rustic cellar. Using Floor-to-Ceiling Frames, the talented design team place the Wall Series metal wine racks off the wall to preserve the old barn wood used in the space. We gladly bring a few bottles to add to the collection with an invitation to the see the space. 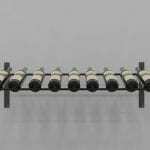 Wine wall features Wall Series wine racks in single- and double-deep bottle configuration in satin black. When custom millwork and custom metal wine racks come together, beauty is born. 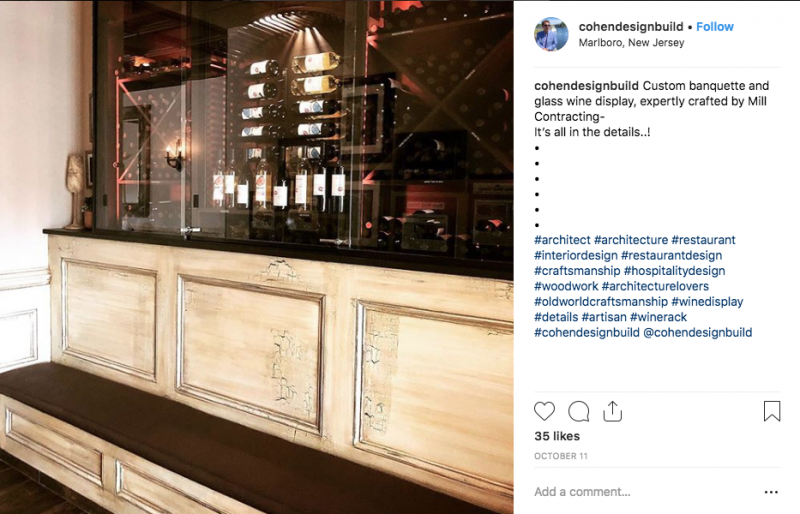 Cohen Design Build Architect worked with Mill Contracting to create a glass wine display with lots of wine storage and label-forward views to highlight this New Jersey collectors wine in the case. It’s well-lit, well stocked, and we are ready for a taste. 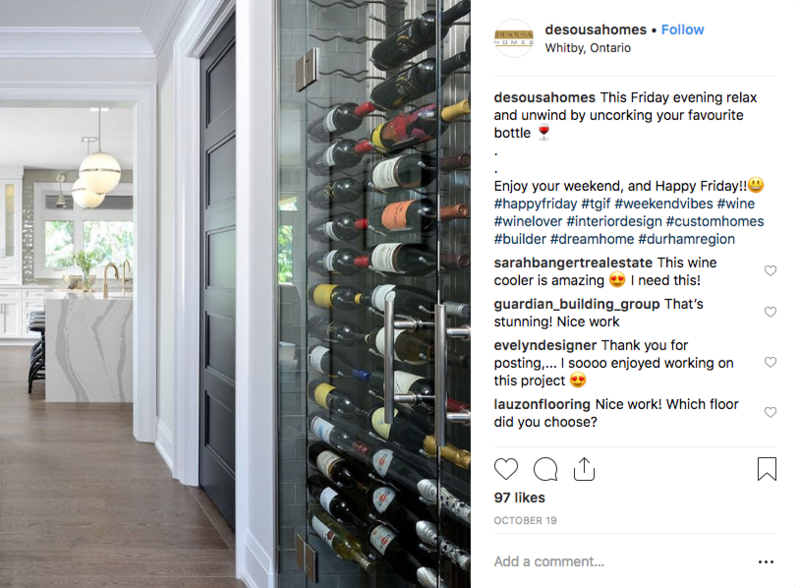 Desousa Homes worked with Evelyn Eshun Design on this wine cellar that screams, “Is it Friday yet! ?” The chic seamless glass shows-off the wine bottles, while allowing the homeowner to open the cellar to cooled and well-preserved wine. How could we not unwind with this well-stocked cellar? 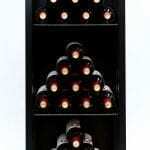 Wine display features Wall Series wine racks in double-deep bottle configuration in satin black finish.